This is a bracelet event. Bracelets can be picked up Dec 30th, 2pm-8pm at the address on your receipt. 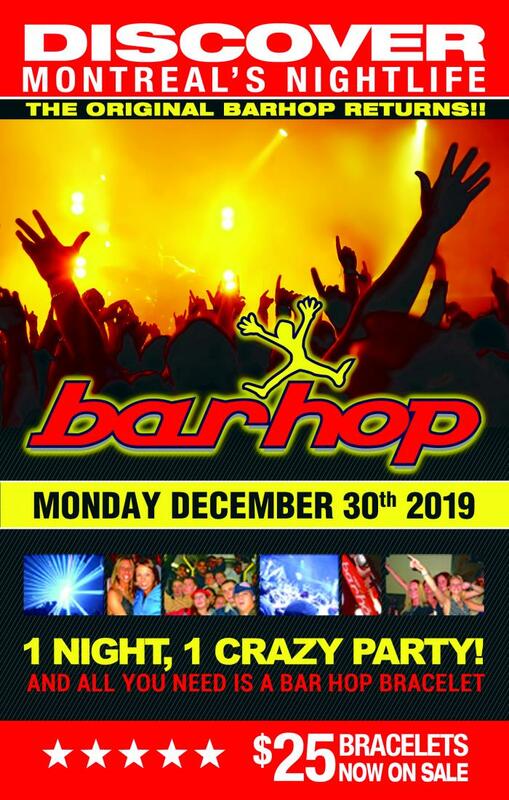 The OFFICIAL Montreal Bar Hop! - Free entry to 10 hot Venues! - 1 Night, 1 Crazy Party! 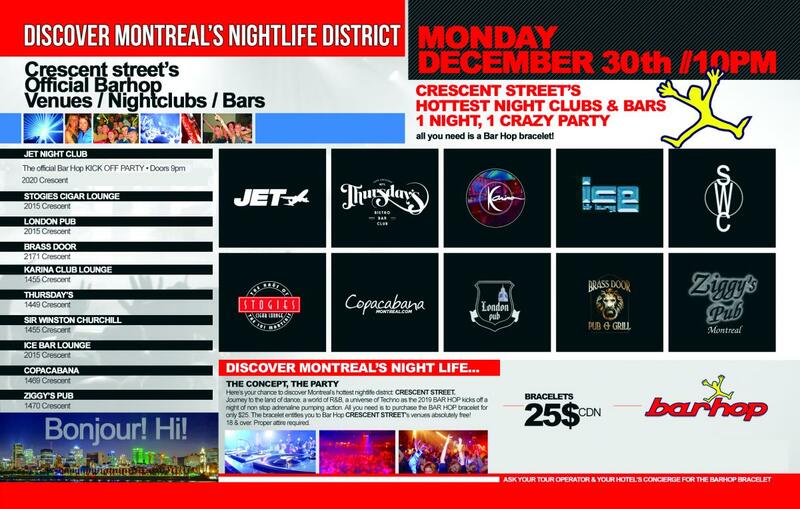 - The original " Montreal Club Crawl "
- All you need is your BarHop bracelet!